"Featuring in-depth interviews with the godfathers who started it all, the icons of game design, and the geek gurus who are leading us into the future, VIDEO GAMES: THE MOVIE is a celebration of gaming from Atari to Xbox, and an eye-opening look at what lies ahead." Considering our passion for all things gaming here at GO40 I wanted to tell you about this gem recently added to Netflix. It takes on the ambitious task of trying to chronicle the history of games and gamers and how the medium has become such an influential and amazing format unto itself. Video Gaming has had a complex, sometimes turbulent history, and so many points of interest. It's no wonder that this movie simply does the "double-decker bus tour" equivalent of coverage. Fortunately, that's all it needs to do for an enjoyable trip down memory lane. There are plenty of interviews from industry veterans (like Nolan Bushnell co-founder of Atari), and celebrity personalities, (Sean Astin and Wil Wheaton) to provide personal thoughts and insights as well as a ton of game clips ranging from Pong to Destiny. The movie doesn't do anything groundbreaking and only touches on certain aspects of console gaming history but it does pay tribute to this medium and culture that we know and love. 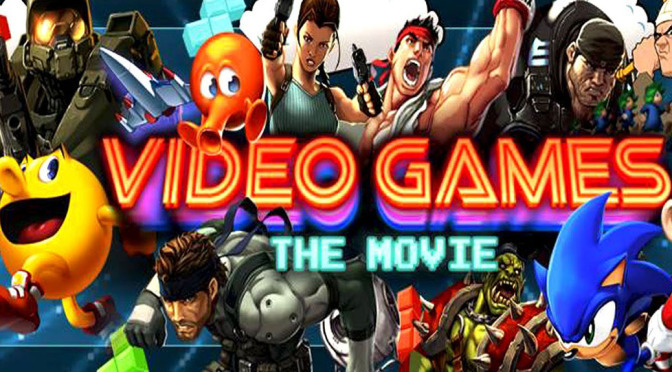 The format of the movie tries to touch on different points of gaming history, focusing on a different aspect for each segment by going back in a timeline and moving forward through the years. While it does break things up into more digestible portions it unfortunately leaves you with the feeling of "skipping around". There's just so much that can be said so if you were to cover video gaming in depth that the movie might take days to chronicle. Still, it doesn't try to be more than a quick tour (110 minutes) of gaming which coincides with our group's generational experience. Seeing some of the clips from games I haven't seen in years (and some I had forgotten about) made me wax nostalgic for those good times in front of the TV or in the Arcade. One example is a shot showing people in an arcade some playing and others crowding around each cabinet. Something struck me as I noticed someone completely immersed in a game in that "game stance". You know what I mean. One leg forward, slightly bent with the other directly behind. Upper body leaning forward and in to the game, pushing all your focus to the controls. It's those glimpses of gaming's past that strike a chord in you as you watch. In the opening of the film there is a segment showing short clips of games as they evolved. I found myself instantly naming each one as they briefly appeared and couldn't stop. Even the end credits feature a "game over" moments montage which was a nice touch. If you're looking for something that goes in-depth and explores issues or controversies in the gaming industry then this movie may not fill the bill. If you want to hop on the tour bus and re-visit places you fondly remember and learn some interesting tidbits along the way then you can't go wrong with this one!